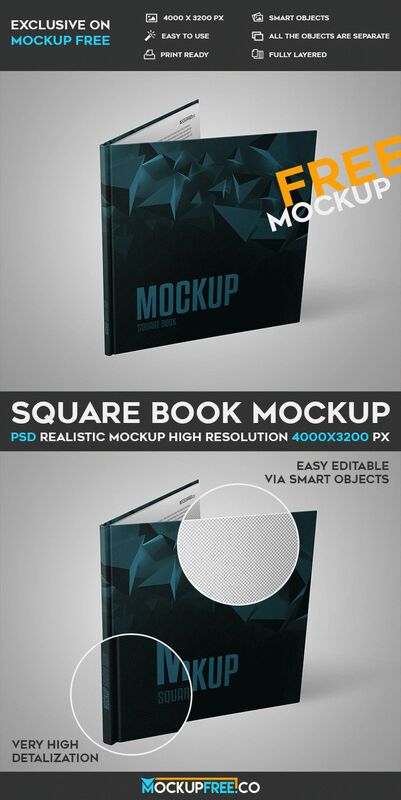 Square Book – it is absolutely Free PSD Mockup for your special needs and interesting ideas. This free mockup can be useful for designers for showing the necessary design and making different presentations. Easily customize this mockup in Photoshop, add your design and make any changes. Good luck!